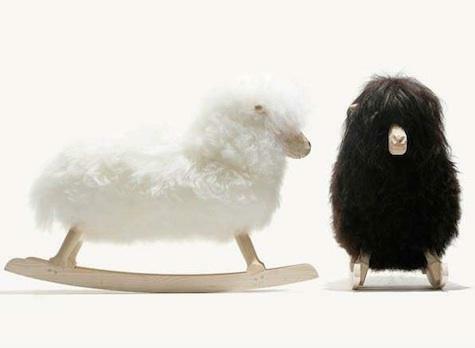 Found this great little article in Remodelista on using sheep in as interior decor items and fell immediately in love with these adorable fluffy creatures. I have a smallish super-fluffy alpaca on the mantle piece named Lady Patricia, that nerd boyfriend carried all the way from Peru. She's brown with a white mohawk and we adore her. What I really really want though is a cat. A real fluffy cat. Are you a cat person or a sheep person? Or maybe you like llamas?